Police believe the vehicle targeted a specific pedestrian in this morning's incident. Police believe the driver of a pickup truck may have intentionally tried to hit a pedestrian in Hampstead, New Hampshire. 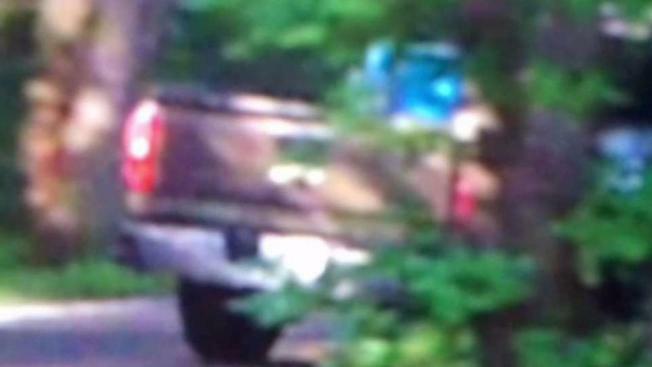 Police in Hampstead, New Hampshire, say the public helped them identify the driver behind the wheel of a pickup truck driving recklessly on a quiet back road. No one has been arrested yet, but police are looking into whether the driver had some bad intentions behind the wheel. "I just heard some screeching going up and down the street," explained a Maple Avenue resident who didn't want to be identified. She and others told NBC Boston that the spinning wheels on Thursday morning were alarming. "It was pretty loud," the woman said. A person walking on Maple Avenue called police right away. Hampstead Police say that pedestrian felt like a target. Officers reported that the driver was trying to hit the person. "It's scary," said another nearby resident who didn't want to be identified. She recognized the truck right away when Hampstead Police posted the picture on Facebook. "It's pulled into our driveway to turn around on at least one occasion, peeling out with the squealing tires," she recalled. "I've seen reckless driving from that same driver couple times in this area." She thought it was just a matter of time before someone got hurt. "It's always concerning on this road because it's a busy road and I have my grandkids here frequently," she said. Police have identified the driver and are still investigating the circumstances surrounding the report. They expect to make an arrest in the coming days.